Mr. Myrtus Howard Striblin, age 76, passed away at his home in Franklin, GA Tuesday, October 16th, 2018. He was born on June 23, 1942 in Columbus, GA to Howard Striblin and Mary Elizabeth (Dingler) Striblin. 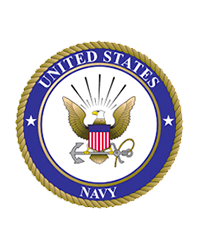 “Myrt”, as most knew him, was a proud service member of the US Navy serving during the Vietnam War as a Blue water vet aboard the USS Bonne Homme Richard as an Electronics Technician. Upon returning home, he married his first wife, Peggy Louise (Kirby) Striblin, having two children and eventually settling in Inverness, Florida to raise his family, He worked as an electronics technician for Sears and Roebuck for 33 years. After losing his beloved wife Peggy in 1997, he retired, and was fortunate enough to find love once again, marrying his second wife, Florence (Gallagher/ Zimmerman) Striblin, eventually relocating to Franklin, GA to live out the rest of his years. He will be forever fondly remembered by "Flo" and his children as The -soft spoken- gentle, loving husband and father. He leaves behind his wife, "Flo" Striblin, a son, Michael Shane Striblin, and daughter-in-law, Sherri-Lynn Striblin, and grandchildren, Alex and Amber Acevedo; a daughter, Cherie (Striblin) May, son-in-law, Jesse James May, and grandchildren, Victoria Renee May, Jesse James May II, Joshua Storm May and wife Cara May, James Christopher Weldon and wife Gemma Weldon, Jessie Abilgale Weldon. He also leaves behind great grandchildren, nephews, nieces, sisters-in-law, and countless lives that he touched and loved. You will always be in our hearts Daddy. Give Mom a kiss for us. Funeral services will be held on Saturday, October 20, 2018 at 11:00 AM EST at Johnson Brown-Service Funeral Home in Valley, AL. A visitation will be held one hour prior to the service. Please visit www.johnsonbrownservice.com to sign the online guest book.